Attica is the fifth-largest bank in Greece, with assets of €3.45bn and 55 branches centred around Athens. It has a 3% market share of business banking and around 1% market share of most retail banking products. Through innovative securitisations, Attica has de-risked its portfolio, reducing net impaired loans from over 250% to just 79% of net tangible assets incorporating the gain on the Metexelixis transaction. This will also lift the common equity Tier 1 (CET1) ratio of 12.8% to 14.3%, representing significant headroom over regulatory requirements. Management will now move on to the next stage of recovery, shifting the group’s focus to the small and medium-sized enterprise (SME) market and raising profitability to improve the price/net tangible asset ratio, estimated at just 0.14x. Note: *Excludes gain from securitisation, staff retirement compensation and associates. Attica has significantly de-risked its portfolio with two securitisations so that impaired loans have reduced from €2.4bn (end-2016) to c €590m (or c €370m net of provisions. Attica transferred some €2bn of non-performing loans (NPLs) into two special purpose vehicles (SPVs), which then issued junior and senior notes to Attica. Subsequently, Aldridge EDC Speciality Finance and PIMCO, the distressed debt managers, paid a premium to acquire the junior notes. Attica is still at risk on the senior notes, but is protected by over-collateralisation and its position in the debt hierarchy. Although its capital raise in Q218 was only 44.9% subscribed, we estimate that the capital gains on the most recent securitisation deal will allow the bank’s CET1 ratio to reach 14.3%, or 11.2% including full phasing of IFRS 9. Attica is Greece’s fifth-largest bank, with assets of €3.45bn and 55 branches centred around Athens. It offers a full range of products to both retail and business, but intends to focus on the latter to exploit attractive margins and an existing 3% market share. Rebuilding profitability will be achieved through: voluntary retirement schemes; pricing leverage as the major Greek banks review their product offerings; and normalisation of impairments facilitated by reduced exposure to the collateral underpinning impaired loans and an economy anticipated to grow 2% pa with declining unemployment. We expect that, by 2020, Attica will be close to achieving a 5% return on tangible equity. By 2020, Attica’s profitability will be comparable with the major banks. We estimate that the current valuation is considerably lower, with the share price to net tangible book value (PTBV) ratio at 0.14x. This compares with a 0.23–0.26x range for most other Greek peers and would suggest a fair value for Attica of €0.26 per share or around double the current share price. Additional upside could come from Greece’s economic recovery, reducing the excessive risk premium attached to bank equity. With assets of €3.45bn and 55 branches centred around Athens, Attica is dwarfed by Greece’s big four systemic banks. Although primarily an SME bank, it offers a full range of banking and deposit-taking services for individuals and businesses. Corporate and business banking provides over 90% of revenues, while the small retail segment is unprofitable even before allowing for impairments. In terms of products, Attica has a 3% share of business lending, but market shares of consumer products are generally below 1%. A new management team, in place since 2016, has completed an extensive reorganisation plan and developed an innovative approach to management of impaired loans. Innovative de-risking. In the two successful securitisations (Artemis and Metexelixis), about €2,031m of impaired loans was placed in SPVs, which then issued both senior and junior notes. This represented over 80% of the then existing NPLs and more than half of the gross loan book. The preparedness of Aldridge and PIMCO to pay a premium (€117m over written-down value) for the junior notes indicates that the €868m of senior notes, which have first claim on the liquidation proceeds of the impaired loans, should stand an excellent chance of being repaid in full. Part of the success of the securitisation process stems from the conservative provisioning that Attica put in place in earlier years. Coverage of impaired loans, by both the LLA and collateral is reported at 105.3% for H118.The securitisation transactions are irrevocable, which means that the loans will not come back on to Attica’s balance sheet. On the flip side, it is conceivable that Aldridge/PIMCO will realise collateral quicker than expected, in which case the senior note could be repaid to Attica before its redemption date. Capital now looks good. The share issue in Q218 may have only raised €88.9m (the bank had been targeting double that figure), but the capital gains from the second securitisation will make up much of the shortfall. Supporting management’s view that further issuance is not necessary, pro forma CET1 stands at 14.3% and, even allowing for the full phasing of IFRS 9, will be no lower than 11.2%, two percentage points of headroom over the regulatory minimum. To date, the securitisations have not provided any benefit to Attica’s capital position. However, this will change once the senior notes are repaid; the reduction in RWAs would be worth five percentage points to the CET1 ratio. In theory, the senior notes have 10-year maturity but could be redeemed before that if realisation of the SPV loans proceeds at a faster pace than anticipated. At the headline level, we expect Attica to be marginally profitable in 2018, primarily because of the gain on the Metexelixis transaction, which disguises a material loss due to the extended restructuring of the bank. However, this position should improve over the next two years. Through the securitisation process, Attica has exchanged €2,031m of impaired loans for €868m of 10-year senior notes with a 3% coupon. 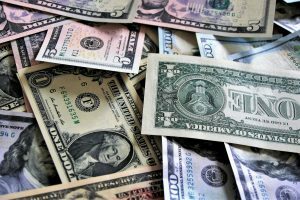 The income on the senior notes is likely to exceed the interest income that would have accrued from the impaired portfolio, which should give some impetus to net interest income. Attica has some pricing leverage on the liability side of its balance sheet and should also benefit as other Greek banks seek to repair profitability by pushing up asset yields, exploiting a healthy differential between the pricing of new and existing lending. For example, the rate on new SME lending is reported at 1% higher than on the existing stock. Following on from a voluntary retirement scheme in 2016, a second such scheme was launched this year and we believe a third scheme will be implemented in 2019 to facilitate scaling back the retail bank. The cost/income ratio, which was 78% last year, is expected to decline to the mid-50s by 2020. Impairments should diminish, reflecting the impact of the two securitisations, which have reduced exposure to the collateral underpinning impaired loans. In addition, Greece’s economic recovery (Reuters consensus anticipated 2% pa GDP growth 2018–20 and a continued decline in unemployment) will help on all fronts, slowing the rate of NPL formation, supporting the value of real estate collateral and generating new lending opportunities. As a result of these measures, we estimate Attica should be capable of achieving close to a 5% return on net tangible equity by 2020. This is in line with the consensus estimates for the major Greek banks. In normal circumstances, a 5% ROTE would not be sufficient to make Attica an exciting investment opportunity. However, the current valuation indicates that investors do not believe that Attica will be able to achieve even this modest level of profitability. We estimate that, after incorporating the gain on the Metexelixis transaction, the shares are trading at a price to tangible book value of only 0.14x. Other Greek banks, which are expected to have similar levels of profitability in 2020, are trading at 0.23–0.26x.This comparison suggests that a PTBV of 0.25x would be a fair valuation for Attica (equivalent to €0.26 per share), which is almost double the current price. The real upside to Attica’s shares will come from investors becoming more comfortable with Greece’s economic recovery, easing perceptions of risk in the banking system. According to our calculations, the implied cost of equity for Greek banks is around 25%. Compared to Greece’s 10-year sovereign rate below 5%, there is clearly scope for this risk premium to decline, boosting valuations significantly, including that of Attica. The negative points against Attica include its smaller size, its challenging restructuring, continued use of emergency liquidity assistance (ELA) and failure to raise the targeted quantum of equity in the last capital raise. However, liquidity assistance is declining, the capital position has 2pp headroom over regulatory requirements after allowing for the full phasing of IFRS 9, while in the longer term, Attica’s size (and valuation) might leave it an acquisition target. Once assets included in the Metexelixis securitisation are deconsolidated from Attica’s balance sheet (scheduled for Q318), then the unprovided element of impaired loans (IFRS 9 Stage 3) will represent 79% of net tangible assets or 63% allowing for surplus capital. This is around half the level of peer group banks. If the bank delivers on the cost-cutting and the market better understands the extent of the bank’s restructure and recapitalisation, the shares should better reflect its fair value. Attica Bank was established in 1925 and listed on the Athens Stock Exchange in 1964. Initially, Emporiki Bank acquired 70% but this relationship ended in 1997 and subsequently Attica has been supported by major pension funds. 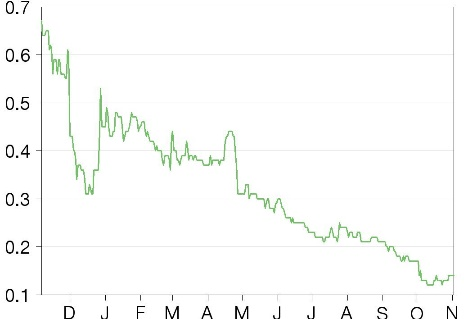 Following Greece’s financial crisis, share capital increases were undertaken in 2013, 2015 and 2018, with exclusively private sector participation and no reliance on the Hellenic Financial Stability Fund. The take-up of the most recent issue was only 44.9% subscribed, raising €88.9m. Following the share capital increase, EFKA holds 66.9% of Attica’s equity. The Fund of Civil Engineers and Public Works Contractors (TMEDE) holds 11.8% and the Fund for Mutual Assistance of the Employees of Ioniki-Laiki and Other Banks (TAPILT-AT) holds 2.8%. Under the provisions of a government ordinance, EFKA’s voting rights are restricted to 33%, with the remaining 13.2% exercised by the Hellenic Financial Stability Fund. Attica offers a full range of banking and investment products and services for individuals, SMEs and large corporates. However, in terms of its own balance sheet and revenues, business banking for SMEs predominates. As at mid-2018, SMEs and small business lending represented 42.3% of the gross lending and large corporates a further 34.3%. Ancillary services include foreign exchange, documentary credits, payments, leasing and factoring. Attica’s treasury offers brokerage, custodian and wealth management services. The retail bank (23% of lending) provides personal customers with specialist investment and bancassurance products alongside traditional mortgage, credit cards and deposit accounts. Attica is materially smaller than the four major Greek banks, with market shares of lending and deposits at 1.5% and 1.6% respectively, and a slightly larger share of branches (Exhibit 1). In terms of products, Attica has a 2% share of business lending, but market shares of consumer products are generally below 1% (Exhibit 2). Attica claims 32,000 corporate relationships. In this segment, the principal industries supported are construction and real estate, wholesale and retail distribution, and energy. The bank has 0.7m personal customers and has been gaining new customers at the rate of 1–2% pa in recent years. 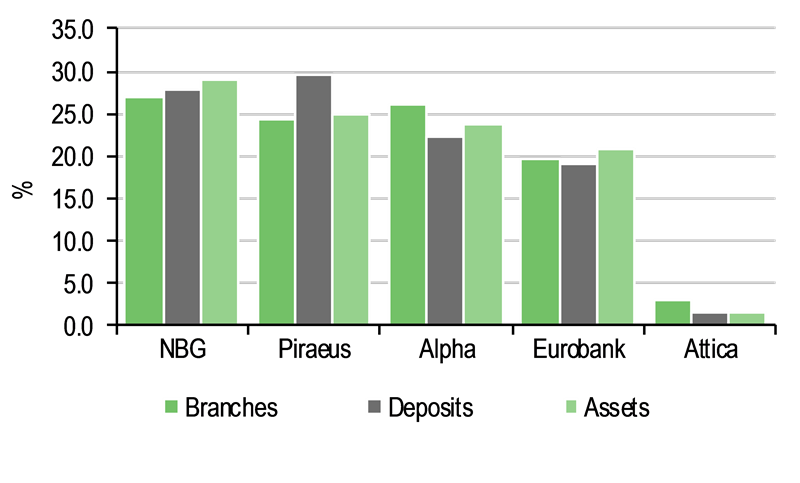 Although Attica has been improving its electronic distribution channels, use of debit cards and e-banking remains relatively modest). A new management team initiated an extensive transformation programme in 2016. This amounted to a complete overhaul of the management information systems and internal methodologies supporting key functions, principally: information technology, credit risk management, budgeting, and the pricing of corporate loans. Implementation of the programme was completed at the end of 2017. Management believes that the strategy for managing all categories of risk is now in line with best international practices, current legislation and the supervisory framework. It is kept under constant review by the risk management committee of the board of directors. For 2018, the main objective is the effective management of impaired loans. Attica now has a clear and realistic strategy for de-risking its portfolio through co-operation with specialised external partners. Longer term, Attica will seek to refocus as a corporate and commercial bank servicing the SME market. This reflects the current distribution of assets and revenues. Retail bank revenues are comparable to operating costs indicative of a structural profitability problem. It is probable that refocusing on the SME market entails de-emphasising the retail offering. The board of directors is collectively responsible for setting strategic targets, supervising senior executives and exercising effective control over the bank’s operations. The board consists of 12 members: three executive officers, eight non-executives and one government appointee. Mr Theodoros N Pantalakis has been the chief executive of Attica Bank since September 2016. Previously, he served as deputy chief executive officer of Piraeus Bank, and chairman and governor of Agricultural Bank of Greece. Mr Athanassios Tsadaris is joint deputy chief executive and serves as director of the treasury and markets division. Mr Ioannis Tsakirakis is also deputy chief executive. He has 28 years’ banking industry experience and currently serves as head of credit restructuring. The main risks derive from the macroeconomic and political environment in Greece. Principal concerns are the high unemployment rate, restricted liquidity in the banking system and uncertainty regarding the implementation of reforms agreed as part of the Third Economic Adjustment Programme. Crystallisation of these risks would have a negative impact on the profitability, liquidity and capital adequacy of all Greek banks. Quantification of these risks is best expressed by the10-year government bond yield at 4.6%. Attica has limited exposure to government bonds and public sector lending, which in aggregate amount to 9% of net tangible assets. Despite the above, credit risk appears subdued. The major Greek banks are reporting negative non-performing exposure (NPE) formation, which appears to reflect positive GDP growth and declining unemployment, although it remains just below 20%. Evidence of stability in residential and commercial property markets is a further positive and loan portfolios, having contracted for many years, have been purged of high-risk assets. Deferred tax assets form a significant part of Attica’s regulatory capital (49% as at end-2017). Eligibility depends in part on management’s assessment of the recoverability of tax losses, but also the legislative framework, which converts deferred tax claims into deferred tax credits that are amortised over 20 years. Ending this special provision is unlikely, requiring changes to Greek and EU law, but would result in the group becoming inadequately capitalised. Attica has undertaken securitisations, transferring €2bn of impaired loans to two SPVs. The first has already been deconsolidated from the group balance sheet and the second will be deconsolidated in Q3. However, the group remains at risk for the performance of the senior notes issued by the SPVs. For this reason, the securitisations have not resulted in a reduction of RWAs. However, once the senior notes are repaid from the proceeds of liquidating the SPVs, the RWAs will decline. The whole process began with a securitisation (Artemis) in Q317. Then, during Q218, there was one reverse share split with write-offs, followed by a share capital issue and a second securitisation (Metexelixis). We will first detail the share split and capital increase, before providing more detail on the two innovative securitisations. The reverse share split was 14.18 to 1, leaving the bank with 164.9m shares with a nominal value of €4.25. Subsequently, the share capital was reduced by: a) the write-off of €419m of accumulated losses; and b) the formation of a special €233m reserve. These deductions left share capital at €150m, consisting of 165m ordinary shares with a nominal value of €0.3. The bank’s 286m preference shares with a nominal value of €0.35 were unchanged. The special reserve was formed for use in the second securitisation (Metexelixis). The next stage was recapitalisation. In late April, the bank sought to raise €198m through the issue of four new shares to every existing share at an offer price of €0.3, with pre-emptive rights to existing shareholders. This offer was 44.9% subscribed, raising €88.9m. Consequently, there are currently 461.3m shares in issue and total share capital is €238m. 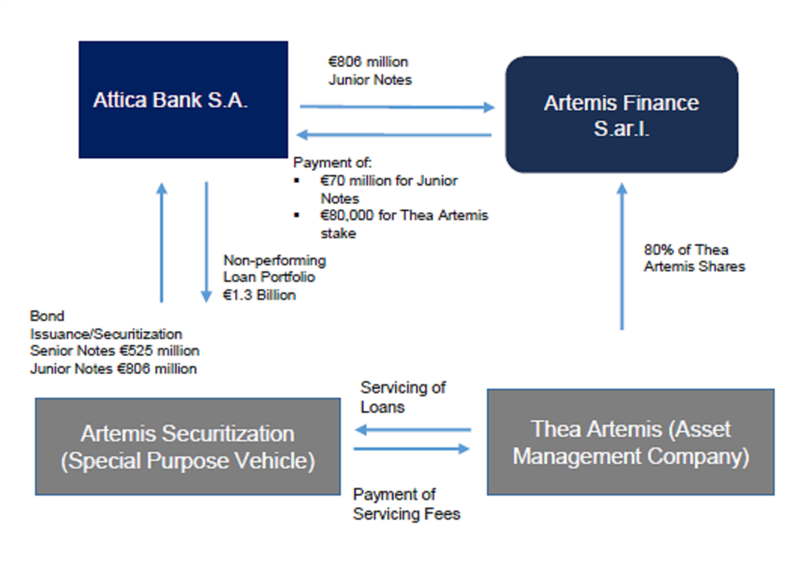 Prior to the first securitisation, Attica established an NPL asset management company, Thea Artemis. Thea Artemis signed a 10-year agreement to manage the assets of Artemis Securitisation, an SPV established to receive a €1,331m NPL portfolio transferred from Attica Bank. To fund the acquisition, the SPV issued a €525m senior note and €806m junior note to Attica. The bank retained the senior note, which will be repaid, together with 3% interest, from collections from the SPV portfolio. Following an open tender process, the junior note was sold to Aldridge EDC Speciality Finance at a €70m profit. Aldridge also acquired an 80% interest in the asset manager Thea Artemis for €80,000. Recognising that the bank no longer has contractual rights over the cash flow from the loan portfolio, Attica deconsolidated €1,331m from NPEs and an associated €806m from the LLA. This was matched by the €525m senior bond issued to Attica by the SPV, leaving the group’s net tangible assets unchanged. The Artemis securitisation was responsible for nearly halving gross impaired loans on Attica’s balance sheet at the end of 2017 (Exhibit 4). An equally important benefit was the €70m premium to written-down value that Aldridge was prepared to pay for the junior note, sending a positive signal that liquidation of the SPV would be sufficient to cover both senior and junior notes. Following on from the success of Artemis, a second securitisation was undertaken in Q218, with the bank transferring a portfolio of €700m of impaired loans to a new SVP (Metexelixis, or ‘transformation’ in English). The SPV issued and transferred to the bank a €343m senior note and €357m junior note secured against the portfolio. A tender process saw three interested parties compete to acquire the junior note, with the winner, PIMCO, paying a €47m premium. After accounting de-recognition expected in Q3, NPEs are anticipated to drop to €591m or about one-quarter of the level before the two securitisations. Likewise, Attica’s exposure net of the LLA, will equate to 79% of net tangible assets, down from c 250%. A feature of both securitisations is that the size of the junior note tranche exactly equals the LLA against the impaired loans transferred to the SPVs. Allocating the LLA to the junior notes implies that they are fully protected and, not surprisingly, PIMCO and Aldridge have paid a combined €117m premium to acquire them. This leaves the senior bonds supported by the collateral associated with the impaired loans, which needs to be realised if the bonds are to be repaid. This collateral, consisting primarily of commercial and residential real estate is extensive; the combination of LLA plus collateral represented 99.7% of impaired loans at the end of 2017 (Exhibit 5), a figure that has subsequently risen to 105.3% for H118. Assuming the impaired loans are 100% covered, they will be protected by €868m of collateral (€2,031m less €1,163m LLA). Provided this collateral can be realised, it will be sufficient to repay the €868m of senior notes. However, Aldridge and PIMCO must believe the eventual realisations will be in excess of this figure, otherwise they would not have paid a premium for the €1.16bn of junior notes, where repayment is clearly more doubtful. The stability of real estate prices is a key risk but, this factor apart, the probability that more than €868m can be realised from a portfolio of €2,031m of impaired loans looks good, and gives an implicit break-even rate for the senior notes of 43% (868/2,031). In any event, the securitisation transactions are irrevocable, which means that the loans will not come back on to Attica’s balance sheet – although the notes could be written-down if it became apparent that sufficient collateral could not be realised. On the plus side, it is conceivable that Aldridge/ PIMCO will realise collateral quicker than expected, in which case the senior notes could be repaid before their redemption dates, enabling the proceeds to be redeployed in high-yield SME lending. As previously indicated, repayment of the senior notes hinges on the value of collateral supporting impaired loans. The evidence regarding the quantum of this collateral comes from a table published with Attica’s 2017 full-year results (Exhibit 5), showing that the LLA represented 39.9% of impaired loans and collateral a further 59.8%, making cover 99.7% in total. By H118, this had risen to 105.3%. The table also highlights the SME sector as the principal source of both impaired lending and collateral. This collateral is predominantly commercial real estate, but also includes financial assets and third-party guarantees. Outside the SME segment, the second-largest source of impairments is the mortgage portfolio (55% impaired), where collateral takes the form of residential property. Aside from providing reassurance on the senior notes, Exhibit 5 also provides some comfort on Attica’s €1,916m residual portfolio following the Metexelixis deconsolidation, suggesting that residual impaired loans will also be fully covered by LLA and collateral. Source: Attica. Note: Cover (a) = LLA/impaired loans; Cover (b) = LLA + collateral/impaired loans. Two concerns often arise when assessing whether provisioning is adequate in these situations: (1) the realisation value of the collateral is lower the value Attica ascribes to it; and (2) how the loan book quality will evolve in the future. We believe that the economic recovery in Greece, which consensus expects to continue, should help on both fronts. First, real estate prices, after consistent declines 2010–14, have stabilised in the past four years giving us some comfort regarding collateral values. Second, the impairment charge for H118 of €21.1m, although comparable to the prior year, was inflated by the write-down of off-balance sheet items, disguising a significant fall in credit impairments. The introduction of IFRS 9 makes the interpretation of credit quality data more difficult. Under this accounting change, introduced at the start of this year, the LLA no longer reflects the difference between the nominal amount of an impaired loan and its recovery value, but rather an assessment of statistically expected losses for segments of the loan portfolio differentiated by changes in risk. The adoption of IFRS 9 necessitated €98m being added to the LLA to take account of 12-month expected losses on Stage 1 loans and lifetime expected losses on Stage 2 loans. 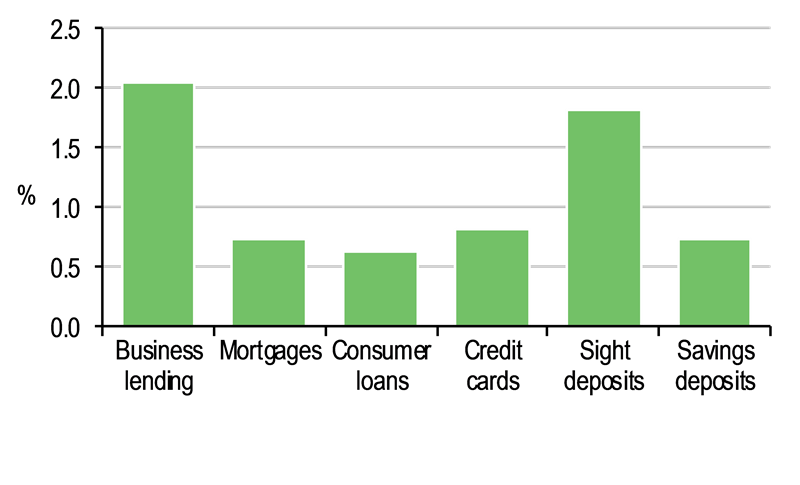 The extent to which the pick-up in impaired Stage 3 loans through Q218 reflects an underlying deterioration in credit quality or a change in methodology under the new accounting regime is unclear, but this question is somewhat academic as the Metexelixis transaction will take the volume of impaired loans down to around €591m (Exhibit 4). Recapitalisation, securitisation and IFRS9 entailed significant changes to Attica’s capital position. At the end of 2017, Attica reported a CET1 ratio of 14.7%. The capital raise in Q218 added 2.7% but a regulatory change removing preference shares from CET1 removed most of this benefit. The loss reported for H118 and adoption of IFRS 9 were additional negatives, which brought mid-year CET1 down to 12.8%.The good news is that the Metexelixis transaction, where Attica expects the €47m gain on the disposal of the junior bond to add 1.5% to the ratio, gives a pro forma figure of 14.3%. As a smaller bank, Attica’s capital requirements are set by the Bank of Greece, rather than the European Central Bank, but are determined along similar lines. The minimum CET1 requirement is probably around 8.375%, or 9% incorporating full phasing of the capital conservation buffer. On this basis, Attica’s 14.3% seems ample. However, along with its peers, Attica Bank is phasing in IFRS 9 over five years (5% in the first year, then 15%, 30%, 50% and 75%). The bank estimates the full impact of IFRS 9 at €110m or 3.3pp of CET1 – therefore, the fully adjusted figure would be only 11.2%. Attica’s fully adjusted ratio is lower than the comparable ratios of major Greek banks, which are now reporting their ratios on this basis. This is balanced by the group’s regulatory requirement being somewhat lower since it is not a systemic bank. Its capital headroom of 2.2pp (ie 11.2–9.0) is comparable to the peer group (Exhibit 7). This may explain why, despite failing to raise the full €198m from the Q2 share issuance, management believes the capital position is adequate. Aside from IFRS 9, Attica also takes advantage of Greek and European law converting relevant deferred tax assets into deferred tax credits, which are amortised over 20 years, rather than deducted from capital. Relevant deferred tax assets on Attica’s balance sheet stand at €216m or 6.4% of CET1. It is unlikely this favourable treatment will be reversed, as that would be a major disincentive preventing Greek banks from disposing of problem loans. Apart from future asset growth and profitability, there will be two key influences on Attica’s capital position. On the positive side, since Attica is on the standardised approach to CRD IV the €868m of senior notes have 100% risk weighting. Hence, repayment would remove around one-quarter of the group’s RWAs, adding around 5% to CET1. However, it could be up to 10 years before Attica sees this benefit and, more immediately, the capital position faces the amortisation of deferred tax credits, which will depress the CET1 ratio by 0.3% pa.
Exchange controls were introduced in June 2015 to halt an outflow of deposits from the domestic banking sector. Attica was disproportionately affected by this shrinkage in the sector’s funding base, seeing its share of domestic deposits slipping from 1.9% to 1.4%, and being forced to borrow at the peak €1.12bn of Eurosystem funding through ELA. Although ELA funding to Attica has subsequently been reduced to €570m, (supported by €1.7bn of pledged assets), major Greek banks have repaid their liabilities. The good news is that Attica’s customer deposits have been on an upward trajectory since mid-2017. Q218 saw a 7% increase from the start of this year, and a 13% year-on-year increase. Growth has come primarily from household term deposits and the public sector. As a consequence, the loan-to-deposit ratio has declined from 114% (end-2017) to 99.9% at H118. We estimate that the Metexelixis transaction will drive the ratio down to 80%. For 2018, net interest income is subject to two conflicting influences. Through the Artemis securitisation, Attica exchanged €1.33bn of impaired loans for €525m of 10-year senior notes with a 3% coupon. The income on the senior notes is likely to exceed the interest income that would have accrued on the impaired portfolio. However, we believe this positive is likely to be offset by the continued shrinkage of performing loans, with the result that net interest income will be lower than the prior year. Net interest income was down 1% at the interim stage. The improvement we project for 2019 assumes a stabilisation in performing loans and incremental income on the Metexelixis senior note. In addition, we believe Attica has some scope to reduce rates offered on time deposits, since these rates appear more generous than those offered by competitor institutions (average term deposit rate 1.35% compared with the major Greek banks at 0.7–0.9%). Likewise, there may be scope to improve asset yields as Greek banks are highlighting a healthy differential between the pricing of new business and the existing stock. For example, in a recent presentation Piraeus Bank cites the difference between new and back-book pricing of SME loans at 1.0%. Aside from this, Attica would be a beneficiary from the early redemption of the senior notes and redeployment of the proceeds to the SME sector, since yields on SME lending are characteristically 5–6%. Fee and commission income is derived from many different sources, but the largest elements come from loan commitments and letters of guarantee. This revenue stream therefore reflects the subdued lending environment, but there has been some progress from the provision of point-of-sale terminals and business credit cards to SMEs. Management is seeking supplementary revenues through a bancassurance agreement with a major insurance company. Profit from financial transactions and the investment portfolio stems from realised and unrealised gains on portfolios of Greek government and corporate bonds. Gains on the transfer of loans are the product of recent securitisations, and the €47m gain from Metexelixis will appear in Q318. Recognising the necessity of ‘right sizing’ the cost base in line with the declining level of performing assets, expenses have fallen 14% since 2015 and the ratio of expenses to operating income (net interest plus fee and commission income) has fallen from 94% (end-2016) to a current 87%. However, the major Greek banks are generally in the 50–60% range (Exhibit 11). An initial voluntary redundancy scheme reduced Attica’s headcount from 870 to just under 780. The board of directors approved a second voluntary retirement scheme at the end of Q118. 23% of the workforce agreed to participate. This should save €8–9m pa on an ongoing basis, but Attica believes the cost of the scheme will approach €20m of which €17.2m was charged in H118. Nonetheless, even excluding this item we anticipate the expense ratio rising to 82% this year. Source: Attica, Edison Investment Research estimates. Note: *excludes gain from securitisation, staff retirement compensation and associates. There should, however, be a significant improvement in 2019, reflecting the delayed benefit of the retirement scheme. We believe a third scheme is likely to be implemented next year to facilitate scaling back the retail bank. This will entail another restructuring charge (estimated €10m) and take the group headcount down to around 500. We estimate this level would be consistent with an expense ratio in the 55–60% range. Despite positive economic growth and stable employment levels, the impairment charge for H118 was little changed on the comparative period. However, within this figure write-downs of off-balance items offset a significant improvement in loan loss experience. Consequently, there is still scope for the charge to decline in future periods, and with the group’s exposure to impaired loans significantly reduced through the two securitisations the sensitivity to collateral values is diminished. We have impairments stabilising at 1.5% of Stage 1 loans, which approximates to the 12-month expected loss rate under IFRS 9. We expect Attica to report a small pre-tax profit in 2018. However, this is not indicative of underlying earnings power, since it includes the €47m gain from the Metexelixis transaction, the €20m cost of the voluntary retirement scheme, and a material negative contribution from associates following the write-off of venture capital investments. Excluding these three non-recurring items, our projections indicate an underlying pre-tax loss of €21.0m. Significantly, on the same basis, Attica produced an underlying pre-tax loss of 14.7m for H118, compared to the headline reported loss of €34.8m. At the headline level, 2019 looks materially similar to 2018 because of the absence of gains from securitisations and a further restructuring charge. However, on an underlying basis, there is a material improvement in Attica’s core profitability. This reflects the lower cost base facilitated by the second voluntary retirement scheme, net interest income benefiting from a full year’s contribution from the Metexelixis senior note and stabilisation in the level of performing loans. We project underlying PBT of €14.0m, which would represent a significant inflection point. 2020 represents the steady state position in that it is assumed there are no further restructuring charges and impairments normalise. If our assumptions are correct, Attica should be reporting headline (and underlying) PBT of c €33m, giving €0.048 of EPS, equivalent to a 4.6% return on tangible equity. Source: Attica, Edison Investment Research. Note: (a) excludes provision voluntary retirement scheme; (b) pro forma post-Metexelixis. Before discussing valuation, it is worthwhile comparing Attica to its immediate quoted peer group. In conducting this exercise, we have relied on H118 data adjusted where possible to exclude non-recurring revenues and costs, discontinued operations or those subject to disposal. The key feature of all these institutions is that they are either loss-making or only marginally profitable. This is mainly because of impairment charges in excess of 1% of lending, but in addition Attica has a relatively high cost/income ratio, reflecting more limited scale economies. 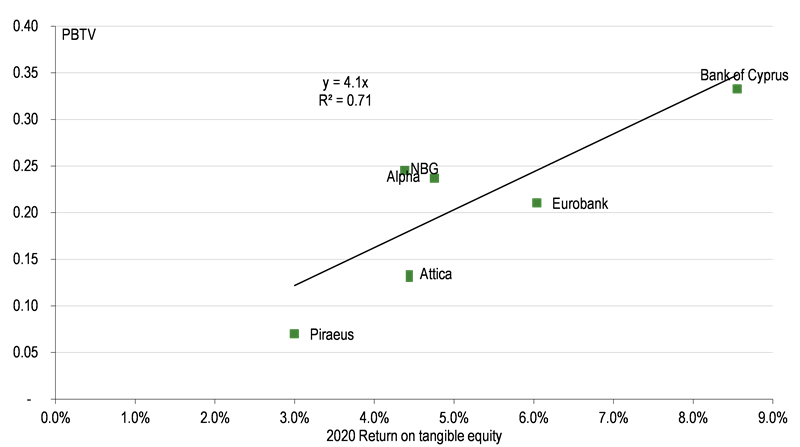 On the plus side, however, allowing for the Metexelixis transaction, Attica has a relatively liquid balance sheet (as evidenced by an 80% loan to deposit ratio, and modest levels of Stage 3, or impaired loans, It is not strictly correct to deduct all the LLA against Stage 3 loans (because under IFRS 9 an element is ascribed to Stage1 and Stage 2), but on this basis, net impaired loans represent 79% of tangible shareholders’ funds compared to a peer group range of 138–307%. This highlights the extent to which Attica has resolved legacy credit issues. In terms of capital, Attica is comfortably positioned particularly because as a non-systemic institution its regulatory requirement will be lower than other banks. We estimate that after fully adjusting for IFRS 9, surplus capital will represent 16% of net tangible assets. As previously indicated, the repayment of senior notes would add around 5% to CET1. In terms of valuation, PE comparisons are unhelpful because earnings are cyclically depressed. There is more consistency in price/tangible shareholders’ funds ratios and we compare them with 2020 ROEs, with the caveat that even by this stage earnings may not have normalised. Tangible shareholders’ funds for Attica is calculated as H118 stated equity of €586m less €100m preference shares less €50m intangible assets plus the €47m gain on the Metexelixis taxed at 29%, which divided by 461.3m shares in issue following the reorganisation, gives tangible book value per share (TBV) of €1.02. The Greeks banks are trading at a range between 0.1x and 0.41x, based on Reuters I/B/E/S consensus numbers. At the bottom of this range is Piraeus Bank with an anticipated ROTE of just 3.0% in 2020. At the top end is Bank of Cyprus with a ROTE of 8.6%. The other banks (including Attica) have an ROTE in the 4.5–6.0% range. However, despite offering a comparable level of profitability Attica is trading at a PTBV of 0.14x; in comparison with peers at 0.23–0.26x. We believe that this supports a fair value of 0.25x for Attica, equivalent to €0.26 per share, which is almost double the current share price. The real upside to Attica’s shares will come from investors becoming more comfortable with Greece’s economic recovery easing perceptions of risk in the banking system. According to our calculations (Exhibit 12), if we take the 2020 returns as sustainable then the cost of equity for Greek banks is around 25% for Greek banks (reciprocal of the gradient of the best-fit straight line). Compared to Greece’s 10 year sovereign rate (4.3%), there is clearly scope for this risk-premium to decline boosting valuations significantly, including that of Attica. The sensitivity of valuation to the sustainable ROTE and cost of equity is set out in Exhibit 13.Our fair value price of €0.26 per share is consistent with a 5% ROTE and 20% COE. It seems to us that the very low Greek bank PTBV multiples also reflect some fears regarding significant future asset write-downs. It is impossible for us to guarantee that this will not happen. However, as we mentioned before in this report, Attica has completed a significant restructuring exercise. Also, if we allow for surplus capital (excess capital over regulatory requirement), we note that Attica’s level of unprovided impaired loans at 63% of tangible equity is around half that of other banks and compares with over 250% before the capital restructuring and securitisations. To date, investors have entirely ignored this transformation. Mr Theodoros N Pantalakis has been the chief executive of Attica Bank since September 2016. Previously he has served as deputy chief executive officer of Piraeus Bank and chairman and governor of Agricultural Bank of Greece. Mr Athanassios Tsadaris is joint deputy chief executive and serves as director of the treasury and markets division. Mr Ioannis Tsakirakis is also deputy chief executive. He has 28 years of banking industry experience and currently serves as head of credit restructuring. Alpha Bank (ALPHA GA), Eurobank (EUROB GA), Piraeus Bank Group (TPEIR GA), National Bank of Greece (ETE GA), Bank of Cyprus (BOC GA). Copyright 2018 Edison Investment Research Limited. All rights reserved. This report has been commissioned by Attica Bank and prepared and issued by Edison for publication globally. All information used in the publication of this report has been compiled from publicly available sources that are believed to be reliable, however we do not guarantee the accuracy or completeness of this report. Opinions contained in this report represent those of the research department of Edison at the time of publication. The securities described in the Investment Research may not be eligible for sale in all jurisdictions or to certain categories of investors. This research is issued in Australia by Edison Investment Research Pty Ltd (Corporate Authorised Representative (1252501) of Myonlineadvisers Pty Ltd (AFSL: 427484)) and any access to it, is intended only for "wholesale clients" within the meaning of the Corporations Act 2001 of Australia. The Investment Research is distributed in the United States by Edison US to major US institutional investors only. Edison US is registered as an investment adviser with the Securities and Exchange Commission. Edison US relies upon the "publishers' exclusion" from the definition of investment adviser under Section 202(a)(11) of the Investment Advisers Act of 1940 and corresponding state securities laws. As such, Edison does not offer or provide personalised advice. We publish information about companies in which we believe our readers may be interested and this information reflects our sincere opinions. The information that we provide or that is derived from our website is not intended to be, and should not be construed in any manner whatsoever as, personalised advice. Also, our website and the information provided by us should not be construed by any subscriber or prospective subscriber as Edison’s solicitation to effect, or attempt to effect, any transaction in a security. The research in this document is intended for New Zealand resident professional financial advisers or brokers (for use in their roles as financial advisers or brokers) and habitual investors who are “wholesale clients” for the purpose of the Financial Advisers Act 2008 (FAA) (as described in sections 5(c) (1)(a), (b) and (c) of the FAA). This is not a solicitation or inducement to buy, sell, subscribe, or underwrite any securities mentioned or in the topic of this document. This document is provided for information purposes only and should not be construed as an offer or solicitation for investment in any securities mentioned or in the topic of this document. A marketing communication under FCA Rules, this document has not been prepared in accordance with the legal requirements designed to promote the independence of investment research and is not subject to any prohibition on dealing ahead of the dissemination of investment research. Edison has a restrictive policy relating to personal dealing. Edison Group does not conduct any investment business and, accordingly, does not itself hold any positions in the securities mentioned in this report. However, the respective directors, officers, employees and contractors of Edison may have a position in any or related securities mentioned in this report. Edison or its affiliates may perform services or solicit business from any of the companies mentioned in this report. The value of securities mentioned in this report can fall as well as rise and are subject to large and sudden swings. In addition it may be difficult or not possible to buy, sell or obtain accurate information about the value of securities mentioned in this report. Past performance is not necessarily a guide to future performance. Forward-looking information or statements in this report contain information that is based on assumptions, forecasts of future results, estimates of amounts not yet determinable, and therefore involve known and unknown risks, uncertainties and other factors which may cause the actual results, performance or achievements of their subject matter to be materially different from current expectations. For the purpose of the FAA, the content of this report is of a general nature, is intended as a source of general information only and is not intended to constitute a recommendation or opinion in relation to acquiring or disposing (including refraining from acquiring or disposing) of securities. The distribution of this document is not a “personalised service” and, to the extent that it contains any financial advice, is intended only as a “class service” provided by Edison within the meaning of the FAA (ie without taking into account the particular financial situation or goals of any person). As such, it should not be relied upon in making an investment decision. To the maximum extent permitted by law, Edison, its affiliates and contractors, and their respective directors, officers and employees will not be liable for any loss or damage arising as a result of reliance being placed on any of the information contained in this report and do not guarantee the returns on investments in the products discussed in this publication. FTSE International Limited (“FTSE”) © FTSE 2018. “FTSE®” is a trade mark of the London Stock Exchange Group companies and is used by FTSE International Limited under license. All rights in the FTSE indices and/or FTSE ratings vest in FTSE and/or its licensors. Neither FTSE nor its licensors accept any liability for any errors or omissions in the FTSE indices and/or FTSE ratings or underlying data. No further distribution of FTSE Data is permitted without FTSE’s express written consent.